Dorothy E. Stuard, age 88, widow to Charles Thomas Stuard, passed away Thursday, November 15, 2018 in Lexington, Kentucky. She was born August 5, 1930 on Hawkins Farm in Midway, Kentucky to the late William and Amanda Oliver Simmons. Dorothy was a retired Practical Nurse from the V.A. Hospital. She was a member of Georgetown Church of the Nazarene. She was known as Dorothy "Avon" because she was a sales representative for the Avon Company. 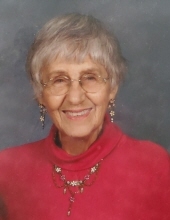 Dorothy was very active in community affairs and was an avid traveler. Dorothy is survived by her son Sanford Stuard of Georgetown, her brothers, Dickie Simmons and Jessie Simmons, both of Fayette County, Kentucky and Johnny Simmons of Morehead, Kentucky. She was preceded in death by her sister Carole Simmons Wagoner. Visitation will be Sunday, November 18, 2018 from 2:00pm to 5:00pm at Tucker, Yocum & Wilson Funeral Home. Funeral Services for Dorothy will be 1pm Monday, November 19, 2018 at Georgetown Church of the Nazarene with Rev. Mike Justice officiating. Burial will follow the service at Crestlawn Memorial Gardens with Roger Wagoner, Donald Simmons, Bobby Simmons, Caleb Simmons, Trace Roberts and Jonathan Simmons, serving as pallbearers. To send flowers or a remembrance gift to the family of Dorothy E. Stuard, please visit our Tribute Store. "Email Address" would like to share the life celebration of Dorothy E. Stuard. Click on the "link" to go to share a favorite memory or leave a condolence message for the family.